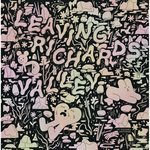 Our apologies for not listing this sooner: our initial stock sold out pretty much overnight, and then our restock sold out, so we didn't get a chance to crack open a copy and check it out until now. 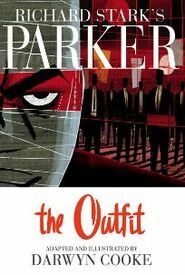 Never one to rest on his laurels, Darwyn Cooke has managed to stretch out a bit in this, the second in his ongoing series of adaptations of Donald Westlake(writing as Richard Stark)'s hardboiled crime series featuring the guy you don't want to meet, Parker. The Outfit, like its precursor, The Hunter, is a hard-charging angry tough guy piece, full of dames and danger, violence and vixens. The action takes place in 1963 and so allows Cooke to flex his retro muscle in an era he has an obvious affinity for. And flex that muscle he does, with flair. What is perhaps the most interesting aspect of The Outfit takes place at roughly the center of the work, where readers will come across an intriguing 30-page aside drawn in a number of different styles, each of which evokes a specific, different aspect of the graphic sensibilities of the period. This insert goes a long way to keep The Outfit from simply being more of the same; but, we can't help but adding, more of the same, when it comes from the pen of Darwyn Cooke, is not something anyone can really complain about.